My Aloha Paddle and Surf! ​The YOLO Board 10'6 Original, constructed from Bahne molded epoxy, is the perfect combination of beauty, maneuverability, and performance. Bungee grommets both front and rear, as well as cooler tie-downs, make this a perfect all-around Stand Up Paddleboard for your adventures. Extra peace of mind is gained with the ability to run a lock through the LiftSUP handle. 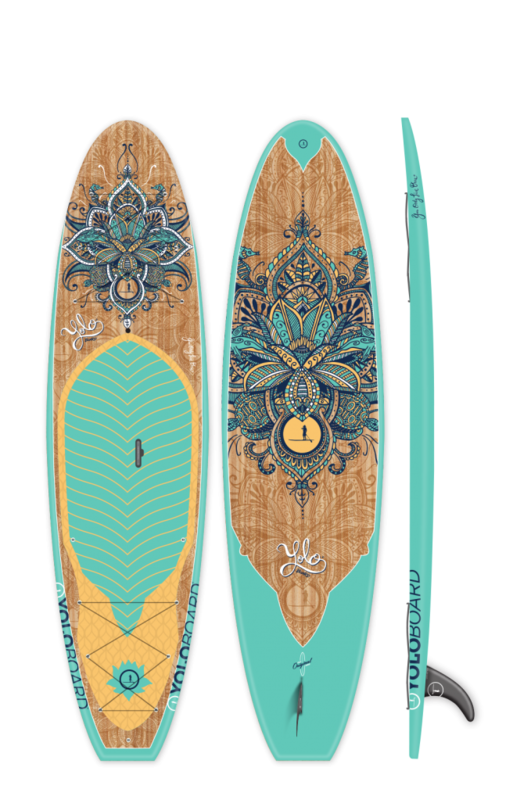 These beauties are the perfect SUP for ladies and smaller paddlers. Hammerstrength molded epoxy and spectacular graphics by Jake Meyer and Richie Gudzan set this board apart from any other. It's equipment that works for you and a fantastic work of art. With a new, sleeker shape and consistent performance, the 10'6" Original continues to be a favorite in any quiver and on the water. With great stability and tracking, this board is built for ease-of-use and can be a great fit for any paddler, especially ladies and smaller paddlers. Features include a built-in bungee system, LIFTSUP handle, GoPro Camera Mount and Gortex Air Valve. 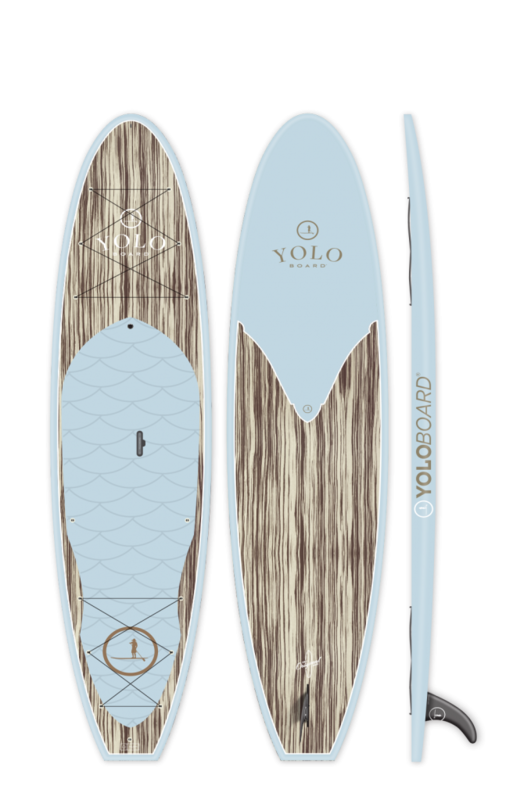 Yolo’s Lakewood 12’ Hybrid Explorer is Yolo’s latest design featuring the perfect crossover of a touring and all-round paddleboard. The V-shaped hull creates superior stability and tracking, making it great for distance, fitness, and an all-around paddle. The classic design is by Jake Meyer and constructed with durable Hammerstrength epoxy. The Lakewood also has integrated cooler tie-downs and front and rear bungee systems facilitate all of your gear. 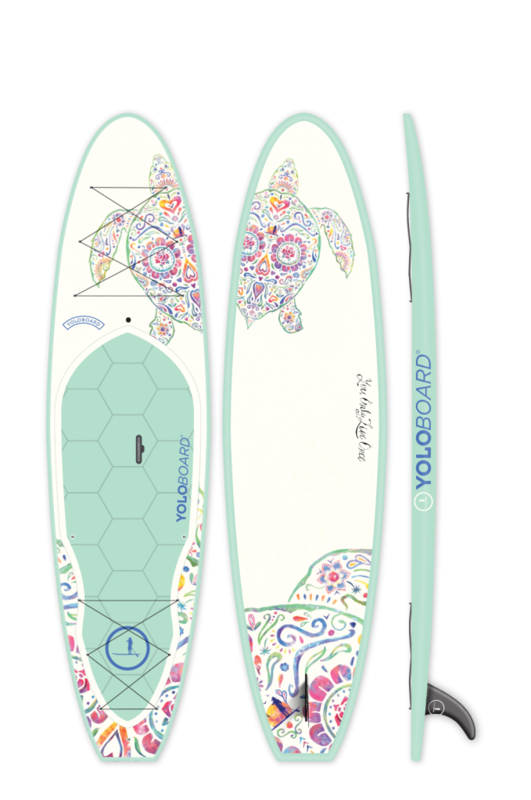 The Lakewood Hybrid Explorer paddleboard gives you the best of both worlds! The Hammerhead Explorer is a one of a kind innovation! The game-changing technology is a traditional fiberglass board with EPS foam core wrapped in an extremely durable ABS thermo-formed plastic, making The Woody an ultra-durable board that is lightweight. The V-shaped hull allows the paddler to cut through the water effortlessly while providing stability with its width and superior tracking with its length. The Woody is well suited for any paddler, from beginners to the more experienced. The Yolo Hammerhead XT is the paddleboard built to last at a great price. Being lightweight and durable, it’s a price you can’t beat! The Hammerhead is a traditional fiberglass Stand Up Paddleboard with an EPS foam core wrapped in an ABS thermo-formed plastic. A tough band covers the rail seams serving as an extra protection layer to prevent damage from the paddle blade. A new feature of the Hammerhead is that it now includes the liftSUP handle, making it easy to carry. The Hammerhead 11’ makes a great paddleboard for anyone, from beginner to an experienced rider, or anyone looking for a great family board at a great price!